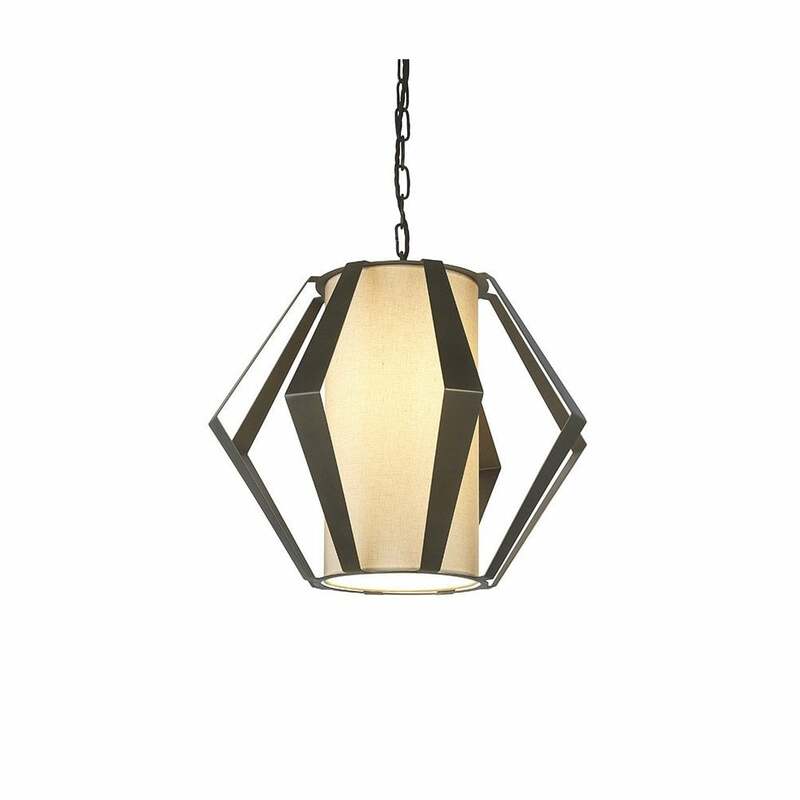 The Facet Medium Celtic Pendant by Heathfield & Co features a laser cut frame in an on-trend geometric shape. This modern design is manufactured and finished in the UK. Hang on it's in own in a group installation, this pendant light will add a contemporary edge to a more traditional interior scheme. Featuring a cylindrical silk or linen drum shade, the curved shape contrasts beautifully against the bold lines of the frame. With a customisable cord length, the Facet pendant light offers ultimate versatility. Make an enquiry for more information. Priced for 08" Facet Drum shade in silk with white PVC lining. Please contact us for other options.